This is not your Grandma’s macaroni and cheese. 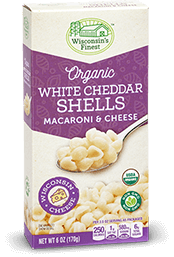 Wisconsin’s Finest® White Cheddar Shells Macaroni & Cheese is a twist on the classic. Made with real Wisconsin White Cheddar Cheese and organic pasta which will satisfy all your cravings. 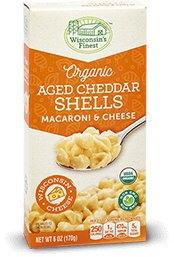 Wisconsin’s Finest® Aged Cheddar Shells Macaroni & Cheese are aged to perfection. Indulge in the aged real Wisconsin cheese and organic pasta. 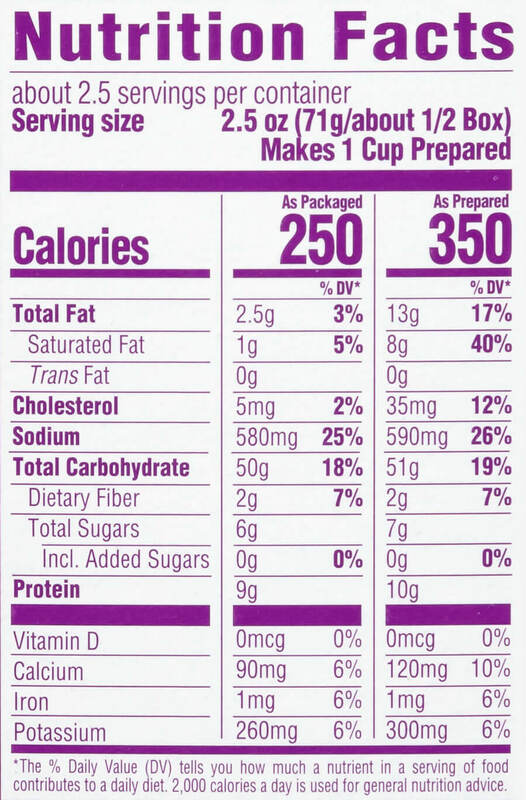 This treat will have you saying Yum! 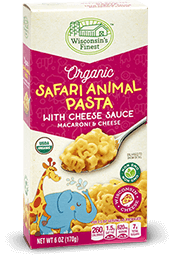 Wisconsin’s Finest® Safari Animal Pasta Macaroni & Cheese will have your taste buds roaring! Every explorer will love the organic pasta and real Wisconsin Cheddar Cheese. 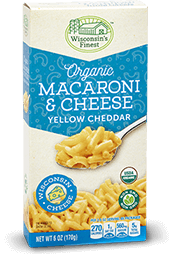 Wisconsin’s Finest® Organic Yellow Cheddar Macaroni & Cheese is a quick and easy meal. 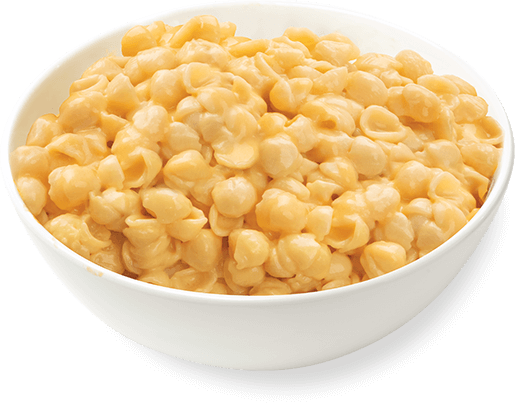 Made with real Wisconsin Cheddar Cheese and organic pasta, this classic is sure to please both young and old! Our family values are to be kind, humble, honest, and to give back to the ones in need. We have a soft spot in our hearts for the children in America. We are excited to partner with the selfless organizations of Ronald McDonald House and Make-A-Wish Foundation. In doing so, we are hoping to help alleviate some of the pain and suffering even if it is for one day. Their illness was not their wish but fulfilling their wish is. There are millions of children in need across America and if there is anything we can do to put a sparkle in their tender hearts we will do it. Our contributions are volunteering at local chapters, community outreach and a portion of our proceeds go back to helping the children and families. Wisconsin’s Finest can be found anywhere from your local grocery store’s dairy department to the shredded cheese on your salad at your favorite restaurant. Wisconsin’s Finest, Inc. provides our customers with the best quality cheese from AMERICA’S DAIRYLAND. Wisconsin’s Finest proudly offers the highest level of quality cheese. Owned by longtime food industry veteran, Jamey Williams, Wisconsin’s Finest cheese is manufactured in USDA Inspected plants under the strictest quality control and with the most modern equipment. Customer satisfaction is of the utmost importance to all of us at Wisconsin’s Finest. We work daily to bring you the quality, service, and competitive pricing that you need to be successful in selling cheese. "My daughter loves the aged cheddar shells. Her absolute favorite. Great flavor and I love that it is organic. Quick to make and fills you right up!" 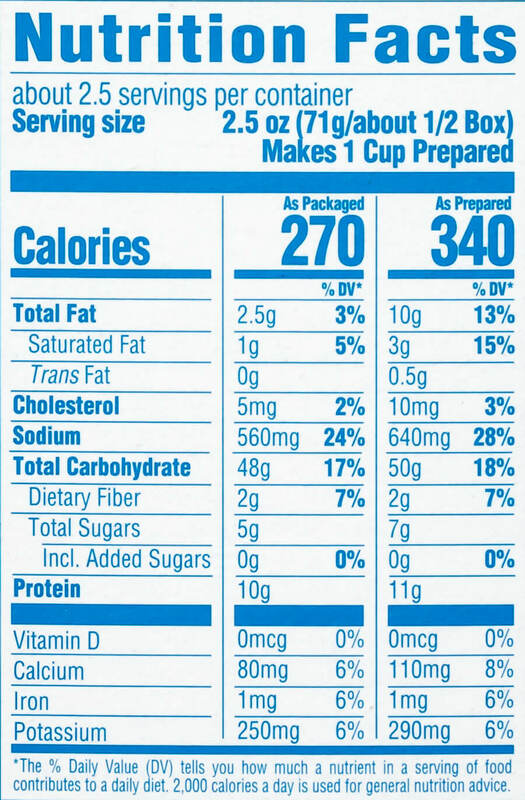 "I ate this entire box of Mac &cheese in one sitting... but that's not unusual for me. It was so good, inexpensive, and it made me feel good knowing it was organic." "The Safari Animals Pasta had a good texture. The flavor is good, just the right amount of cheddar flavor and the sauce is creamy. I could not make out what the shapes were. 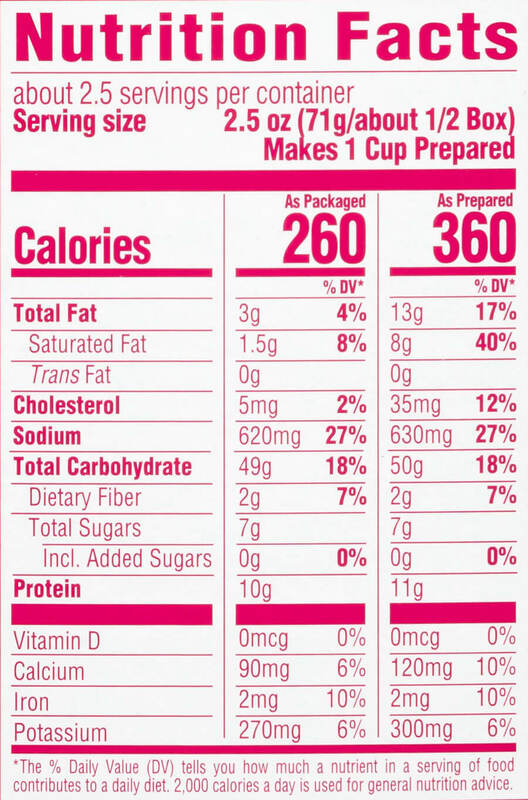 Overall I would purchase this product again for my family."